Justniffer is a network protocol analyzer that captures network traffic and produces logs in a customized way, can emulate Apache web server log files, track response times and extract all "intercepted" files from the HTTP traffic. It lets you interactively trace tcp traffic from a live network or from a previously saved capture file. 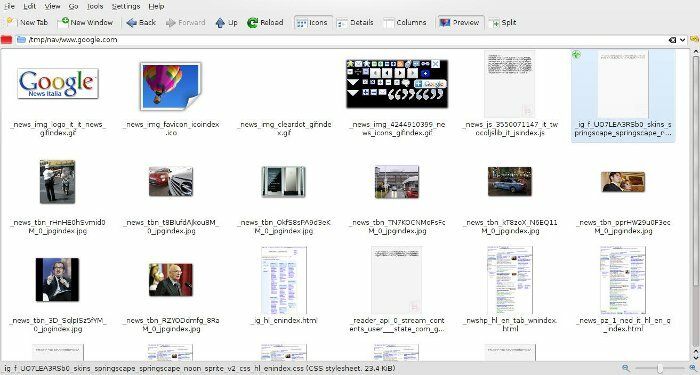 Justniffer's native capture file format is libpcap format, which is also the format used by tcpdump and various other tools. The main Justniffer's feature is the ability to handle all those complex low level protocol issues and retrieve the correct flow of the TCP/IP traffic: IP fragmentation, TCP retransmission, reordering. etc. It uses portions of Linux kernel source code for handling all TCP/IP stuff. Precisely, it uses a slightly modified version of the libnids libraries that already include a modified version of Linux code in a more reusable way. Justniffer was born as tool for helping in analyzing performance problem in complex network environment when it becomes impractical to analyze network captures solely using low level packet sniffers (wireshark , tcpdump, etc.) . It will help you to quickly identify the most significant bottlenecks analyzing the performance at "application" protocol level. In very complex and distributed systems is often useful to understand how communication takes place between different components, and when this is implemented as a network protocol based on TCP/IP (HTTP, JDBC, RTSP, SIP, SMTP, IMAP, POP, LDAP, REST, XML-RPC, IIOP, SOAP, etc. ), justniffer comes in handy. Often the logging level and monitoring systems of these systems does not report important information to determine performance issues such as the response time of each network request. Because they are in a "production" environment and cannot be too much verbose or they are in-house developed applications and do not provide such logging. Other times it is desirable to collect access logs from web services implemented on different environments (various web servers, application servers, python web frameworks, etc.) or web services that are not accessible and therefore traceable only on client side. Justniffer can capture traffic in promiscuous mode so it can be installed on dedicated and independent station within the same network "collision domain" of the gateway of the systems that must be analyzed, collecting all traffic without affecting the system performances and requiring invasive installation of new software in production environments. The robust implementation for the reconstruction of the TCP flow turns it in a multipurpose sniffer. justniffer can also be used to retrieve files sent over the network. Extensibility by any executable, such as bash, python, perl scripts, ELF executable, etc. Performance measurement it can collect many information on performances: connection time, close time, request time , response time, close time, etc.